When Stan Mikita got back together with the Chicago Blackhawks, it was clear how much the reconciliation meant to the Hall of Fame forward. "I was proud to wear the Indianhead uniform for 22 years," Mikita said when he was honoured before a 2008 home game. Mikita's family announced his death in a statement released by the team. No further details were provided, but he had been in poor health after being diagnosed with Lewy body dementia — a progressive disease that causes problems with thinking, movement, behaviour and mood. "He was surrounded by his loving family whom he fiercely loved," the family said in the statement. 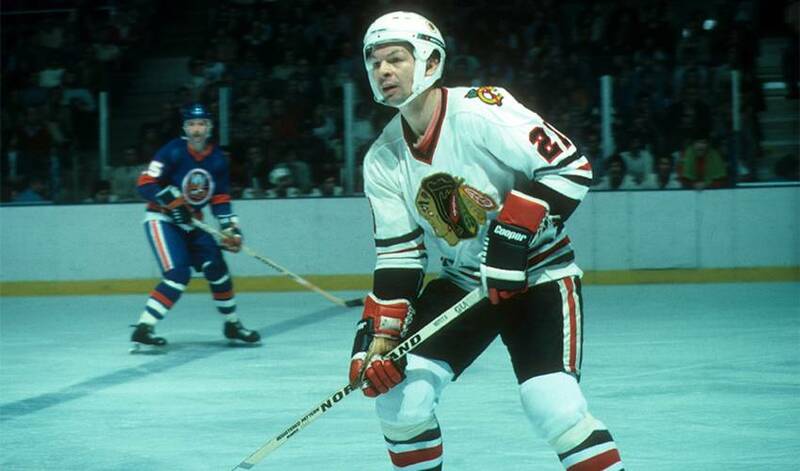 Mikita spent his entire career with Chicago, beginning with his NHL debut in 1959 and running through his retirement after playing 17 games in the 1979-80 season. Known for using a stick with a wicked curve, he is the Blackhawks' career leader for assists (926), points (1,467) and games played (1,394), and is second to Hull with 541 goals. He was named one of the top 100 NHL players of all time by The Canadian Press in 2017. "Stan Mikita will be always remembered as a champion, an innovator and a master of the game," team president John McDonough said. "He embodied the Chicago Blackhawks. His excellence is illustrated by the team records he still holds today." Mikita's relationship with the Blackhawks deteriorated over time, but the franchise reached out to the former captain after longtime owner William Wirtz died in 2007 and his son, Rocky, took over. The return of Mikita and Hull was a key moment in the transformation of the Blackhawks from one of the NHL's worst franchises to its current place among the best run organizations in sports. Born Stanislaus Guoth in Sokolce, Slovak Republic, in 1940, he emigrated to St. Catharines, Ont., as a young boy, according to his Hockey Hall of Fame induction biography. He was named to Canada's team for the 1972 Summit Series, but played in just two games due to injury. The Canadian team played an exhibition game in Prague against the Czech national team prior to returning to Canada, and Mikita was named Canada's captain for that game. The five-foot-nine Mikita was just 18 when he was promoted from the Ontario Hockey Association's St. Catharines Teepees to join a mediocre Blackhawks franchise in 1959. He made his debut at home against mighty Montreal, and his first faceoff came against Jean Beliveau during his prime. "I was still in a daze when I went out to take that faceoff against a legend like Beliveau, who was around six-foot-five and a towering presence on the ice," Mikita wrote in his 2011 book, "Forever a Blackhawk." The 1960-61 team, coached by Rudy Pilous, went 29-24-17 in the regular season, finishing third in the NHL. Chicago then upset Beliveau and heavily favoured Montreal, and beat Detroit in six games for the championship. Mikita had 19 goals and 34 assists in the regular season, and then added six more goals and five assists in 12 playoff games. Mikita and the Blackhawks played for the Stanley Cup again in 1962, but lost to Toronto in six games. They also lost in the finals in 1965, 1971 and 1973 despite continued post-season success for Mikita, who tops the franchise playoff lists for assists (91), points (150) and games (155).